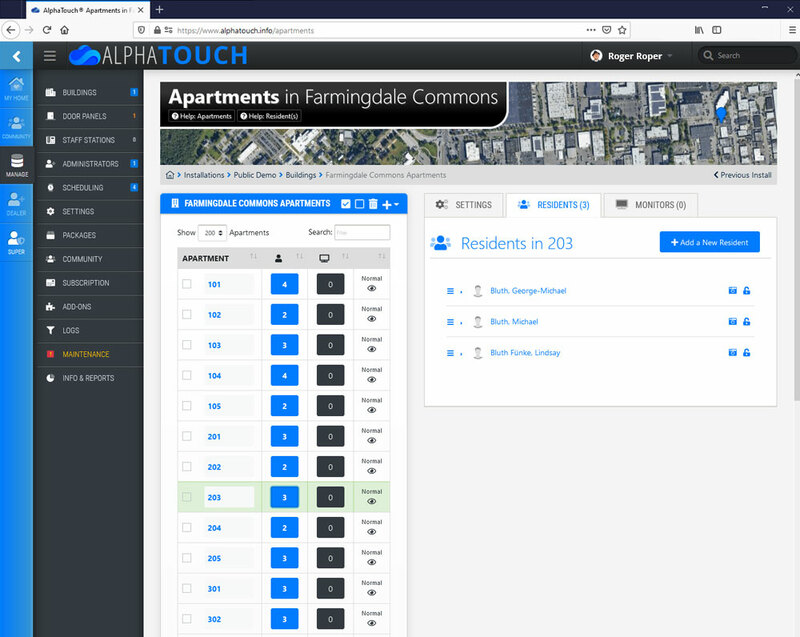 AlphaTouch™ can simulatneously call multiple residents, or a single resident by a variety of methods. These methods include direct telephone dialing, mobile-app calling and calling to one or more resident monitors. Visitors can choose to contact all residents of an apartment, or select an individual resident to contact. 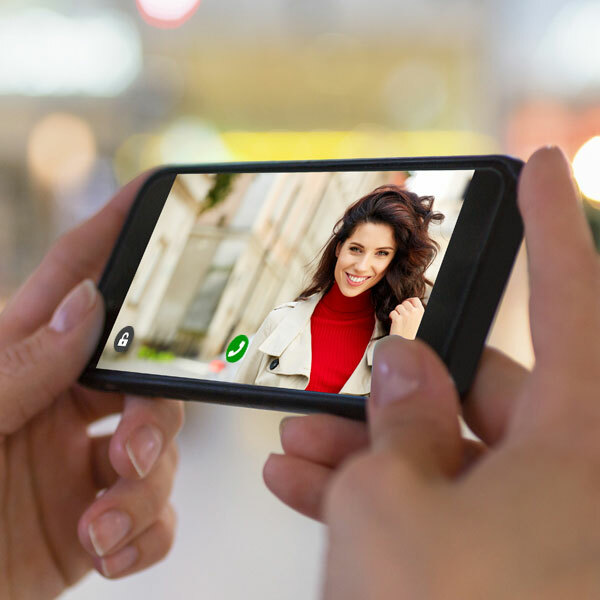 Residents using the mobile app, can share their own live video stream when answering, providing real-time face-to-face audio/video communications. Door stations, apartment monitors and concierge stations all have 7.0" touchscreen interfaces. Factory-Programmed system devices simply connect to an Internet-Enabled PoE LAN and automatically self-program. Managers can make changes to system settings from virtually any Internet-connected, web-enabled device - even mobile devices. Entrance stations can detect programmable resident and visitor QR codes in order to grant access. Up to 3 programmable door relays that can be customized and associated with up to 3 custom buttons. Managers can make changes to system settings from virtually any web-enabled device, even a mobile device. AlphaTouch™ devices will automatically receive software updates and upgraded features. Managers can opt to receive alerts notifying them of any urgent maintenance needed. Door stations have ambient LED lighting that can be triggered upon the level of enironmental light. All system activity is logged along with names and a photo (if applicable). Access to various aspects of the system settings can be granted to virtually as many managers as needed.